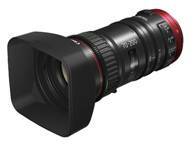 Canon today announces the new CN-E70-200mm T4.4 L IS KAS S 4K compact servo zoom EF cinema lens that features 4K (4,096 x 2,160 pixels) resolution and a range of advanced optical technologies for spectacular image performance. The compact CN-E70-200mm T4.4 L IS KAS S covers the focal length of 70-200mm and equipped with EF mount and compatible with Canon’s EF 1.4x III and EF 2x III Extenders, gearing up professionals to reach out further and shoot distant subjects without the bulky burden. It is also designed for use with Canon’s Super 35mm format Cinema EOS Camera series and Canon’s APS-C format EOS DSLR Camera series1. Offering exceptional image performance, mobility and compatibility, the new lens empowers working professionals to open up more imaging possibilities with flexible and outstanding controls. 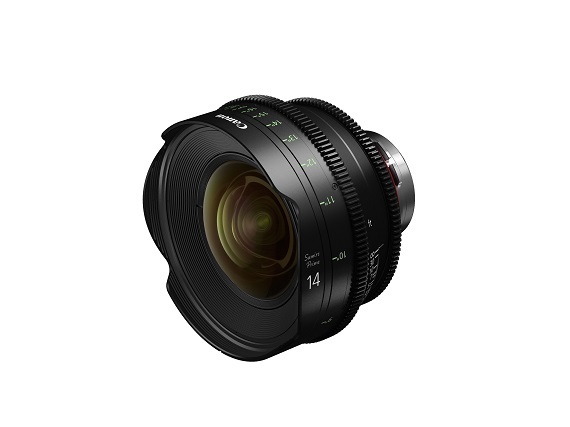 The new EF Cinema lens supports 4K (4,096 x 2,160 pixels) resolution and employs advanced optical elements like large-diameter aspherical lenses for reducing distortion to realize high resolution imaging throughout the frame. Built with a newly designed 9-blade aperture diaphragm, the lens can create soft and attractive blurring to meet the high demand of imaging brilliance. The colors delivered by EF Cinema lens are tuned specially for maximized cinematic tone and feel. In addition, the lens adopts an inner focusing system to minimize focus induced changes in the angle of view for high quality results. Featuring a compact design, CN-E70-200mm T4.4 L IS KAS S lengths 182.3mm and weights a mere 1.25kg, bringing higher mobility and operational flexibility perfect for single-user operation. The lens supports servo / manual operations for zoom, focus and iris control, and also allows for stepness adjustment of iris by turning the separated iris ring equipped on the lens’ body directly. Featuring the T-number common in the film industry that truly reflects the actual aperture value of a lens, light transmission stability is guaranteed with the fixed T4.4 aperture. This can ensure high level of illumination stability throughout the filming process. The new CN-E70-200mm T4.4 L IS KAS S equipped with EF mount. 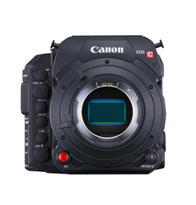 It supports Dual Pixel CMOS AF for smooth continuous AF and auto aperture when used with EOS C700, EOS C300 Mark II, EOS C200 and EOS C100 Mark II, ensuring sharp images even for 4K shooting which demands extreme focusing accuracy. The lens also support other Super 35mm video camcorders, this expands the lens’s applicability to satisfy the needs for diverse professional applications. The new CN-E70-200mm T4.4 L IS KAS S equipped with optical-shift image stabilization, provides strong IS from 3-type of stabilization to enable stable shooting whether the camera is used handheld, on the shoulder, or on a tripod. 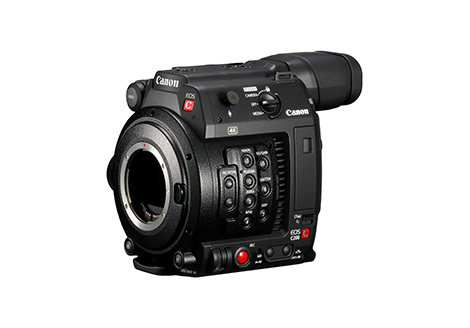 CN-E70-200mm T4.4 L IS KAS S is compatible with the zoom servo grip ZSG-C102 , makes it easier to operate the lens. Featuring an ergonomic form factor to help maximize comfort, the angle of the grip can be adjusted to help ensure a proper fit, and it can even be attached to the end of a shoulder rig. Attaching the grip will allow the cinematographer to access a wide range of functions. An easily accessible rocker seesaw switch allows you to quick zoom in or out on a subject by a single hand. This further expands the flexibility of lens operation. The Canon’s new CN-E70-200mm T4.4 L IS KAS S 4K cinema servo zoom lens is now available in Hong Kong with suggested retail price of HK$45,300. 1 Support manual focus and aperture adjustment.